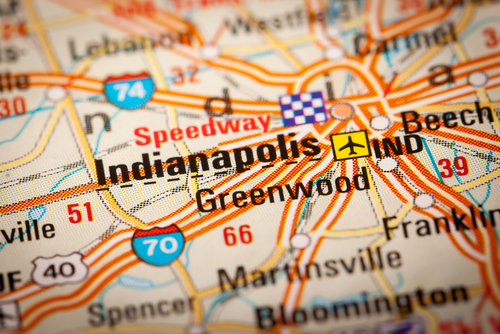 We love Indianapolis for so many reasons: We have great sports teams, wonderful parks, delicious local restaurants, and wonderful attractions. But there's so much more to this amazing city than you might be aware of. For example, did you know that you can go underground and tour some catacombs? Or get behind-the-scene tours of our sports stadiums? Or swing through the air in an interactive treetop adventure? Read on to discover some of our favorite local activities you might not know about. Tours last approximately 25 minutes and depart from the west plaza of City Market, 222 E. Market Street, Indianapolis. On the 1st and 3rd Saturdays of each month, May through October, tours begin on the hour and half-hour between 11:00 a.m. and 1:00 p.m. at City Market. Cost is $12 per adult (ages 12 and up); $10 per member of Indiana Landmarks; $6 per child (ages 6-12). Crown Hill is the 3rd largest cemetery in the nation, spanning over 555 beautiful acres. They hold public tours from June through early October on the second, third, and forth weekends of the month. During our Saturday evening tours, visitors can admire the sunset from the Crown, Marion County’s highest hill, which offers a breathtaking 360-degree panoramic view of the city’s skyline. Tours include 90 minutes of walking, but driving tours can be arranged for those who struggle being on their feet. Private tours are available yearround (preferrably with a 2-week advance notice). Private Group Rates are $5 for adults, $4 for seniors (55+), and $3 for students 18 and under, with a $50 minimum per tour. Crown Hill also offers different types of tours during which you can focus on a particular area of interest: Actors, Artists, Architects & Musicians, Civil War Personalities, African Americans, Authors, Dillinger & Other Notables, Heroes of Crown Hill, Photographer’s Tour, Skeletons in the Closet, and Veterans Women of Crown Hill. There’s no better way to add a dose of adrenaline to your next Indianapolis visit than a behind-the-scenes tour of this state-of-the-art sports mecca. Lucas Oil Stadium offers public tours every week that give participants an up-close and personal look at all the stadium has to offer. Tours last approximately one hour and include visits to the playing field, an NFL locker room, Lucas Oil Plaza, the press box, and numerous other areas (depending on availability) that are generally inaccessible to the public. Public Tour Information: Tours are conducted at 11:00 a.m., 1:00 p.m., and 3:00 p.m. every Tuesday and Wednesday. Cost is $10 for adults and $7 for seniors (age 65+), children ages 4-12, and Military (Retired or Active ID). Children ages 3 and under are free when accompanied by a paying adult. Tickets are available on the day of the tour and are sold on a first-come, first-served basis. Go Ape is a unique and highl- interactive treetop adventure. Upon arriving at the Go Ape cabin, participants are equipped with harnesses, pulleys and carabiners and given training before being let loose into the forest canopy, free to swing through the trees 40-50 feet above the ground! The course is made up of five individual sections, each taking you higher into the forest canopy and finishing with a zip line more exciting than the previous one! There are 38 crossings and obstacles which include rope ladders, net bridges, trapezes, Tarzan swings and five zip lines (including views of Eagle Creek reservoir). The entire experience takes two-three hours to complete and caters to all skill levels. Instructors are always patrolling the forest, ready to provide assistance should you need it. Reservations are strongly encouraged as space on the course is limited. Minimum height is 4 feet, 7 inches and maximum weight is 285 lbs. Price is $35 for 10-17 year olds and $55 for adults. What fun things do you love to do in Indy? Let us know in the comments below!